Sounds too good to be true! It is also mixed in with oat, grapseed and jojoba oil which are all ingredients separately that I would think of applying to my face so it is great to see them combined in a treatment. This is a wonderfully light, non greasy oil to use, and I love that I can use it on my face as well as hair or body. It doesnt clog my skin at all but instead leaves it feeling soft and hydrated come the morning which is lovely. A big thumbs up for me for this multi tasking wonder! 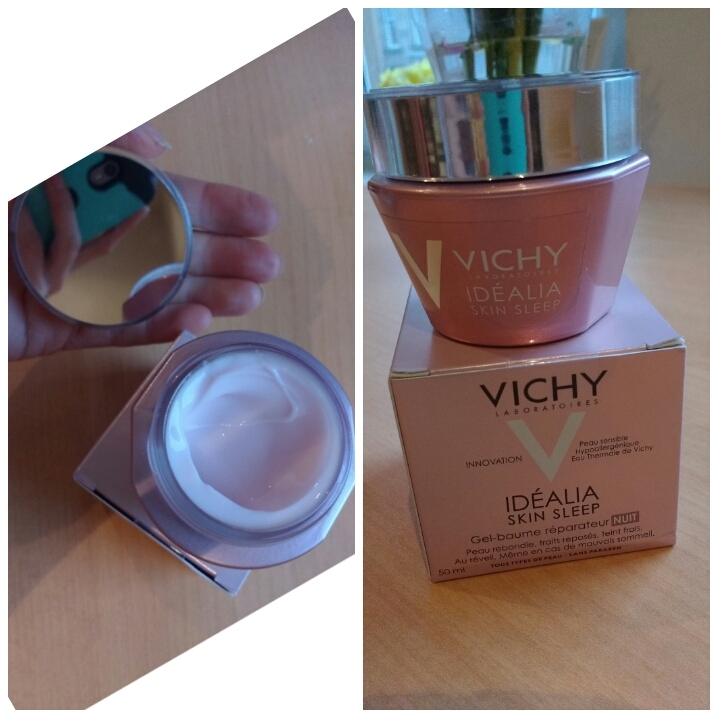 Another addition to my night routine is the Vichy Idealia Skin Sleep*. 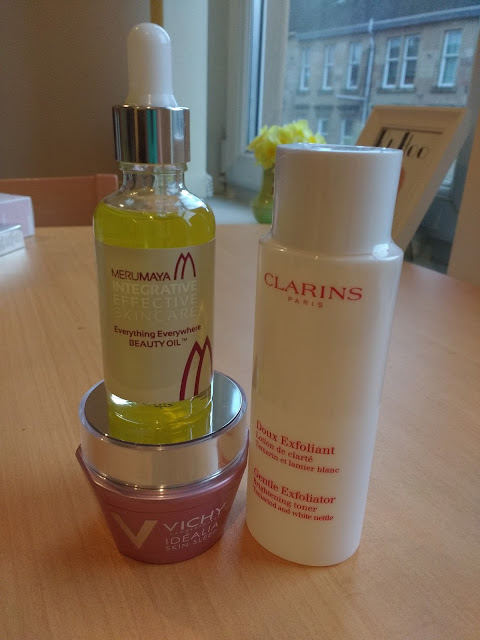 I have used a few of the Vichy range in the past including the Idealia Serum, and been really pleased with the products so I was looking forward to the launch of this night cream. Anything that promises to make it look like I have gotten a few more hours sleep is worth a try :) Created with the effect sleep has on clear skin, in mind, this night cream is a comforting gel like texture which I love as it has the richness of the balm but without being heavy and the gel aspect still makes it feel really fresh. Incorporating Hyaluronic Acid which we all know is a big hydrator, alongside LHA which comes from salicylic acid and works to smooth and even out the skin. 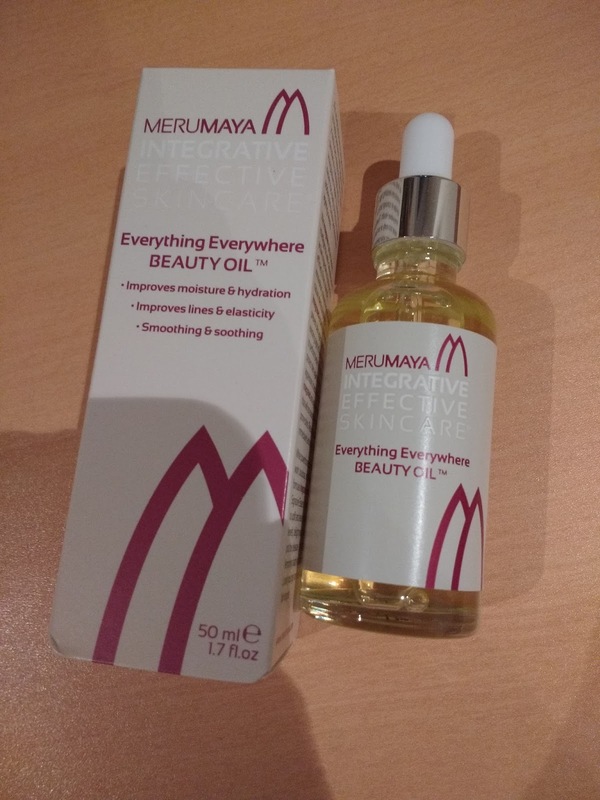 This beauty also has caffeine which is said to boost microcirculation and vitamin B3 for its important anti-inflammatory properties, I have been rotating using this a few times a week and it is a real joy to apply, Like the Serum that can be used alongside this, it really leaves my skin looking far brighter in the AM and really does give that rested look that I associate with a good nights sleep. Is it wrong that I also love it because of the nifty mirrored lid that makes for perfect application from the comfort of my cosy bed?? 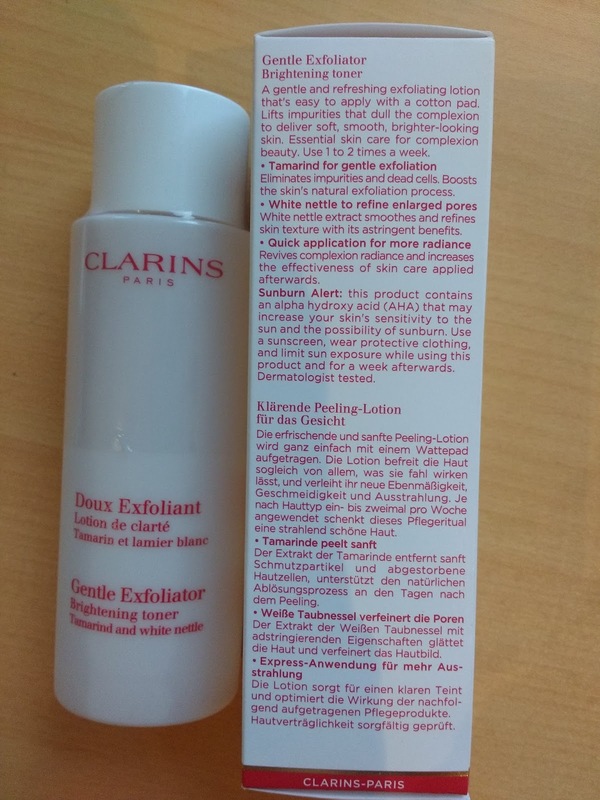 Clarins exfoliating brightening toner was something that had been on my wish list for agessssssss. I usually use Pixi Glow Tonic but I knew i could be doing with mixing it up a little so on a recent whirl around Debenhams I decided to finally go for it. For anyone who doesn't regularly use an exfoliating toner,I highly recommend including one in your routine as it does wonders to my skin. 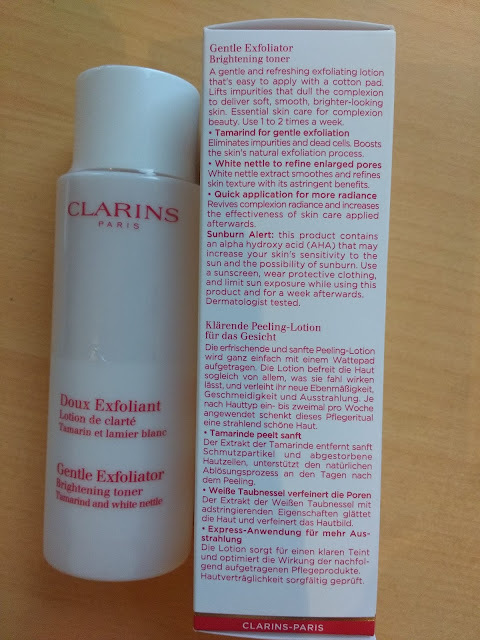 Getting rid of the cell build up that blocks my pours without using a harsh scrub is ideal and the Clarins Toner is a fantastic option to go for. Using Tamarind fruit acids to eliminate impurities and boost cell renewal, I find this refreshing to use, especially in the AM, and it is definitely helping keeping my skin a little bit clearer than it has been. What are your latest skin care purchases?